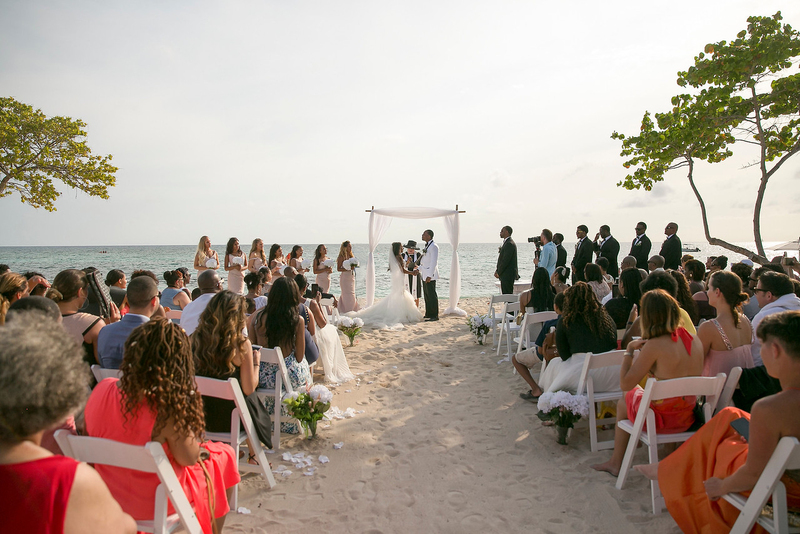 The waterfront is her chapel and the sands of Seven Mile Beach her aisle. 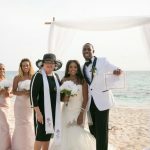 Joy Basdeo, a wedding officiant in the Cayman Islands, presided over another union Friday, when she brought together Marcel Dillard and Shakeira Ebanks in matrimony at the Kimpton Seafire Resort. 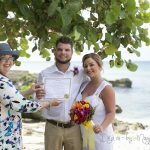 The ceremony took place in front of the ocean shortly before sunset, and for the happy couple, it was their first day together as a family. For Ms. Basdeo, it was a milestone. 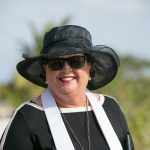 The Dillards represent the 2,000th service Ms. Basdeo has performed in her decade as proprietor of Simply Weddings, and she is proudly following in a family tradition. Her parents, Francine and Vernon Jackson, collectively performed about 7,500 weddings over several decades. 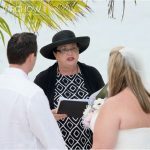 Ms. Basdeo, who previously worked as an English teacher and in government before becoming a wedding officiant, said she never gets nervous before performing a ceremony. Her mother, 88, is still performing weddings, and her husband – Sam Basdeo – is also involved in the family business. For Ms. Basdeo, the family touch is as important as the vows. Many of her ceremonies take place in her George Town office, which is on the waterfront and features a view of incoming cruise ships. Ms. Basdeo said she did just 77 weddings in 2007, the first year of her business, but that number has grown to nearly 300 services annually over the last few years. 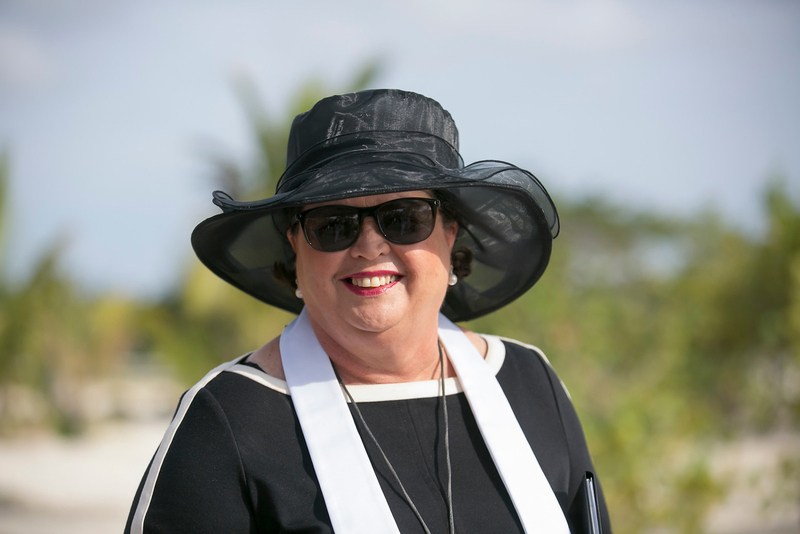 The Dillard wedding was special, she said, because both of the bride’s parents are Caymanian and she was performing a service previously written by her father. Mr. Jackson passed away in October, but Ms. Basdeo said reading his words makes her feel much closer to his spirit. Ms. Basdeo, who will celebrate her 45th anniversary this summer, said during the ceremony that marriage is “the most fulfilling relationship one can have,” and she points fondly to her parents, who were married for 65 years before Mr. Jackson passed away. Like her parents, she loves that she has the opportunity to work every day with her husband, and she thinks her couples appreciate it too. In her decade as a wedding officiant, Ms. Basdeo has brought together people from many countries and cultures. She said she has frequently performed secular ceremonies, but also those that fit the Muslim, Shinto, Buddhist and Hindu faiths, among others. Her most memorable service involved a wedding that almost did not happen. A few years ago, a bride came off the boat without her prospective husband. Hours passed before the groom arrived, and after the ceremony, he explained that he had just learned of his next military deployment. The Basdeos have three sons and a daughter and it’s Joy’s hope that some day her children will pick up the family business. At first, she did not know if working with her husband would work out, but over time, she said, it’s been a truly rewarding experience.